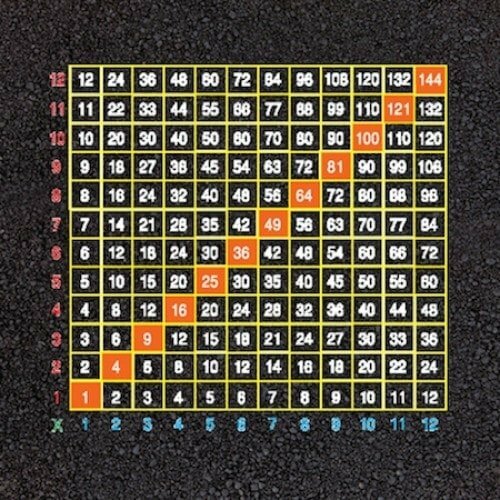 12 x Table playground markings with 500mm grid lines. An ideal teaching aid for mathematics to children of all ages. The numbers and lines can be any colour.